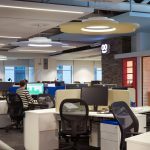 With offices across the globe their offices have developed a design language that is non conformist but promotes collaborating and productivity. 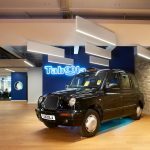 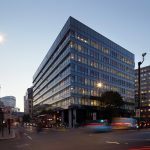 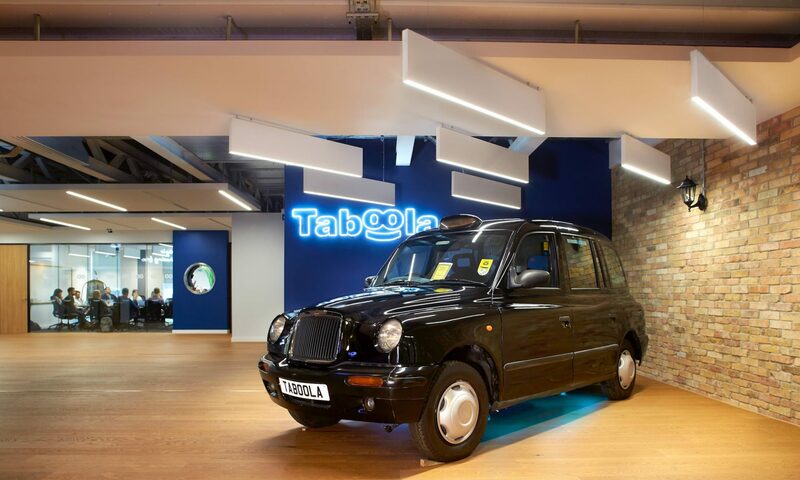 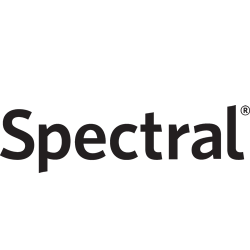 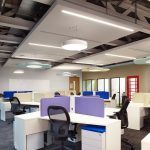 At the Aldgate House office the need to have acoustic suppression in the spaces led the design team to search for dynamic acoustic and light solutions and Holloway Ceilings who had used the system before presented Spectral Blade for lighting and sound absorbing the meeting spaces. 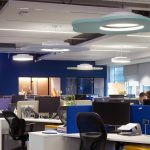 In the open plan office space the architect wanted to have fun with the acoustic panels and combine them with a good level of ‘ambient’ feeling light. 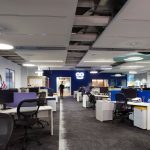 With a deep office foot plate and floor to ceiling windows delivering a lot of daylight, it was essential to not create a ‘cave effect ‘ as you got towards the centre of the spaces. 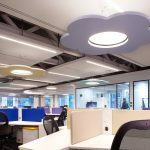 To this aim 650mm diameter Stora RUND with their high efficiency and output linked to a control system was used combined with a petal shaped acoustic absorber with carefully selected Pantone colours reflecting the culture of the company.